If you’re suffering from headaches, low energy, brain fog, body odor, weight gain, sluggish digestion or skin issues, you probably need to detox. In fact, skin, being the biggest organ of the body, is often where toxicity issues show up first. Dr. 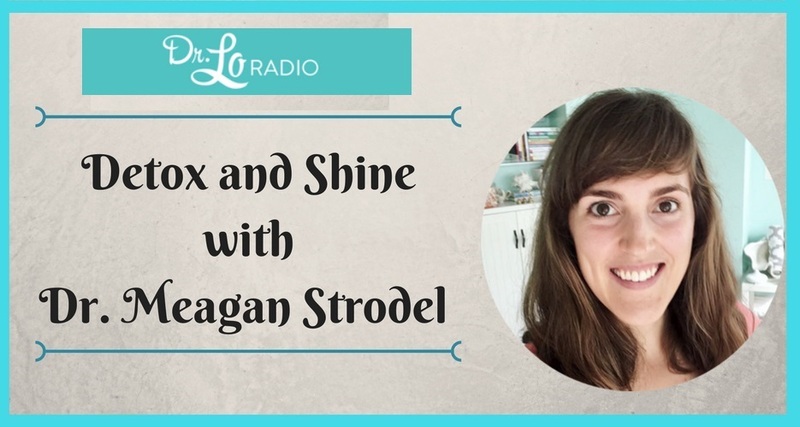 Lo talks with Dr. Meagan Strodel this week about the importance of detoxification. Dr. Strodel says she’s been a naturopath since she was 12 years old. She had a chronic rash no doctor could diagnose—except for a naturopath. He led her to wellness and inspired her to become a naturopathic doctor herself. If you need a little extra health support or want help with a customized detox program to address your needs, Dr. Lauren Noel and Dr. Meagan Strodel are available either in-person or remotely through Shine Natural Medicine. The Environmental Working Group at skindeep.org has a comprehensive cosmetics database with toxicity levels. Try to choose items with a score of 3 or below. worldshealthiestfoods.com is a great resource for nutrition facts. Follow Dr. Lo on Snapchat and Instagram @healthylo. Hosted by Dr. Lauren “Lo” Noel of Shine Natural Medicine. Like this week’s topic? Leave a 5-star review and comment or future show suggestion at iTunes.